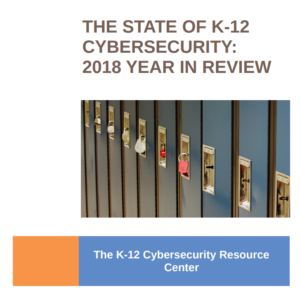 Cross-posted on the K-12 Cybersecurity Resource Center blog: https://k12cybersecure.com/. Herold, Benjamin. “Student Hackings Highlight Weak K-12 Cybersecurity.” Education Week. 12 June 2018. Doug Levin, who tracks K-12 cybersecurity breaches through his consulting firm, EdTech Strategies, said the incident highlights the mixed messages schools are giving students. “Recurring problems on that front speak to a larger problem in the K-12 sector, said Levin of EdTech Strategies.